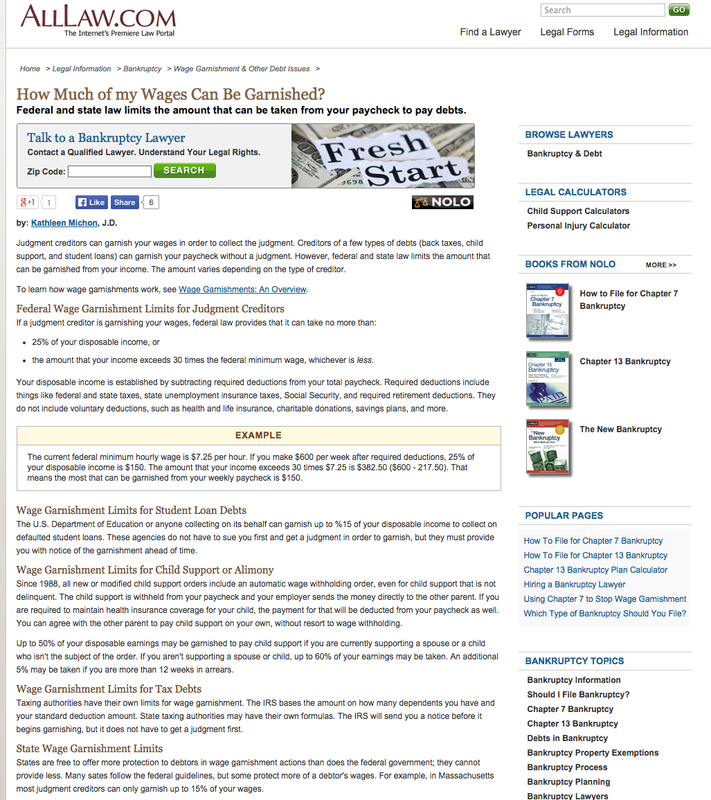 An IRS wage garnishment can be the most financially debilitating and stressful occurrences. Those with money troubles are often blindsided when their employer is ordered to submit a percentage of their wages directly to the IRS. In addition to being financially and emotionally troublesome, wage garnishment can also be a slippery and confusing slope to endure. The ins and outs of what exactly it means, how much the IRS is entitled to take and your rights as a citizen should be carefully understood. Often, a tax attorney or outside professional may be brought in to provide IRS wage garnishment help. However, if a professional cannot be obtained, understanding IRS wage garnishments on your own is the first step to getting out of tax debt. Wage garnishment due to child support or alimony can be the most debilitating. In most cases, the child support is taken from your paycheck and sent directly to the other parent. Half of your disposable income can be withheld. At the time of the order, if you are not supporting another child or spouse, up to 60 percent can be taken. In cases of unpaid student load debt, up to 15 percent of your disposable income can be taken. Many state taxing authorities have their own formulas on how to determine what can be spared from your take home pay.